on Kindle and Wal-Mart’s new Kobo! 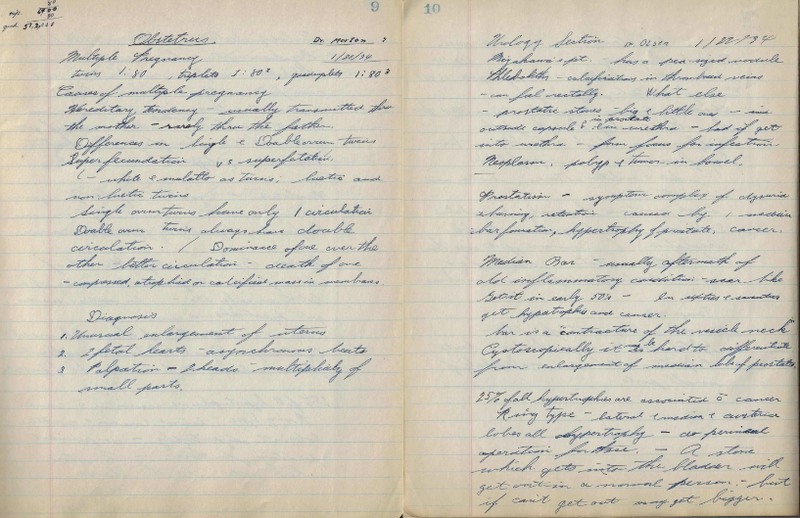 1930’s Handwritten Medical Journals Ebook – A real life Grey’s Anatomy! 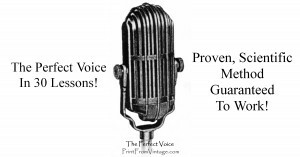 The Perfect Voice Can Happen For Anyone! 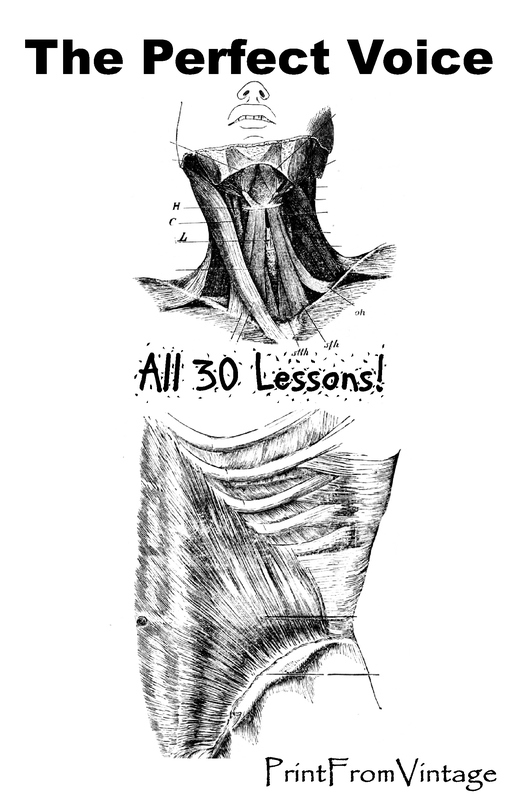 The Perfect Voice in 30 Lessons! 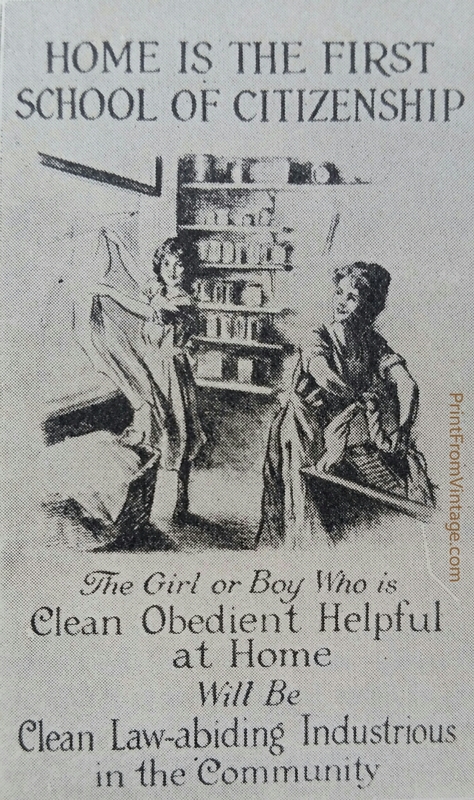 These lessons have been around since the early 1900s. However, like many other wonderful contributions to humanity, it has been stifled from our basic knowledge which has robbed us of this simple truth and that is: ANYONE CAN HAVE A PERFECT VOICE! On this website, you will find these scientifically proven Lessons on “The Perfect Voice” that will ultimately give you an entirely perfect vocal organ. It is an absolute guarantee! Basically, after all this time, many teachers still do not know these scientific teachings that will absolutely correct every flaw that your voice currently has (including stuttering, lisping, throaty or screeching voices). In fact, THESE LESSONS will leave you with the voice that you have always dreamed of because, for the first time, you will be working with Nature’s law. However, most of the time, we fall for gimmicks and shortcuts to get the voice sounding up to par for a while but regrettably you will end up with a damaged voice. I cannot emphasis how important it is for EVERY person to study these Lessons if they intend to contribute something valuable to the world! Does Laminating A Vintage Book Ruin It? 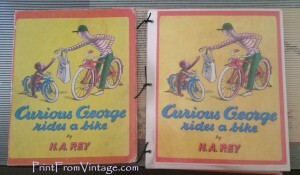 Those of us who collect old, vintage and antique books know that the real value in these books is in sharing them. 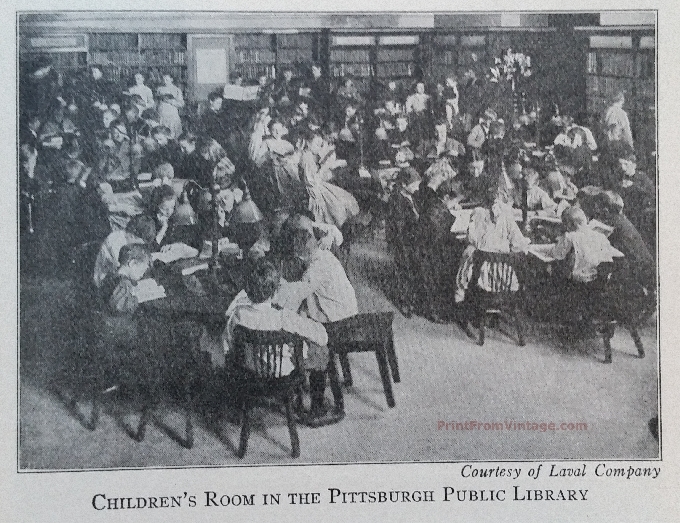 However, when it comes to children, the last thing that we want to do is hand them an old book! Especially young ones who love to eat pages and and make a fist full of paper out of them otherwise. The point is, when it was time to give my great-niece a one-year birthday present, I wanted it to be a vintage children’s book about her favorite character. 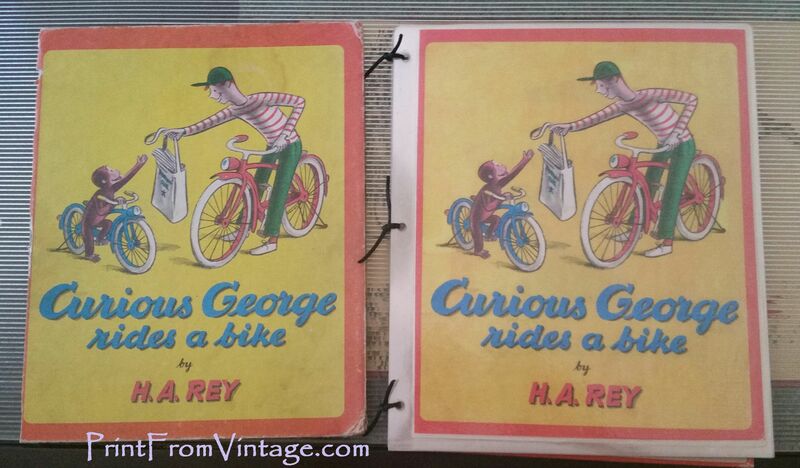 In this case, Curious George. So, I found an old copy of this book (1952) and I have to admit that it was in rough condition. Therefore, I initially thought that it was a good idea to just let her have it completely, without concern about her possibly tearing it apart. After all, it was merely a rescue book and it was important for me that she was given full permission to handle it how she will without concern for the condition that we normally like to keep our old books in. However, that’s when I decided to figure out a way to make it last a lot longer for her. So, I turned to lamination. First of all, we know that laminating pages can make them last for a long time but it is also common knowledge that this isn’t the best way to preserve a page indefinitely. That’s because ordinary lamination material still permits light rays to pass through it and can also cause a chemical reaction to the acid that most modern paper and modern dyes contain which causes deterioration of paper and fading of the paper and print in time. However, in this case, the book was already in bad condition and its only purpose was to be enjoyed for this one, last run! The result was exactly what I was hoping for and so I have no regrets laminating each and every page of this book so that it could be enjoyed by my great-niece on her first birthday and for as long as possible afterwards. 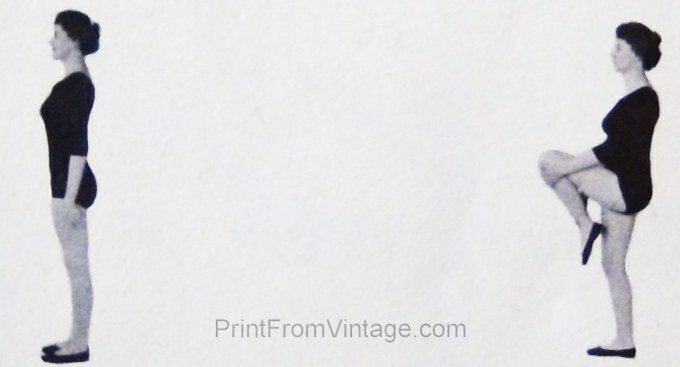 Provenance – Antique Books Owned By Famous People Of The Past! 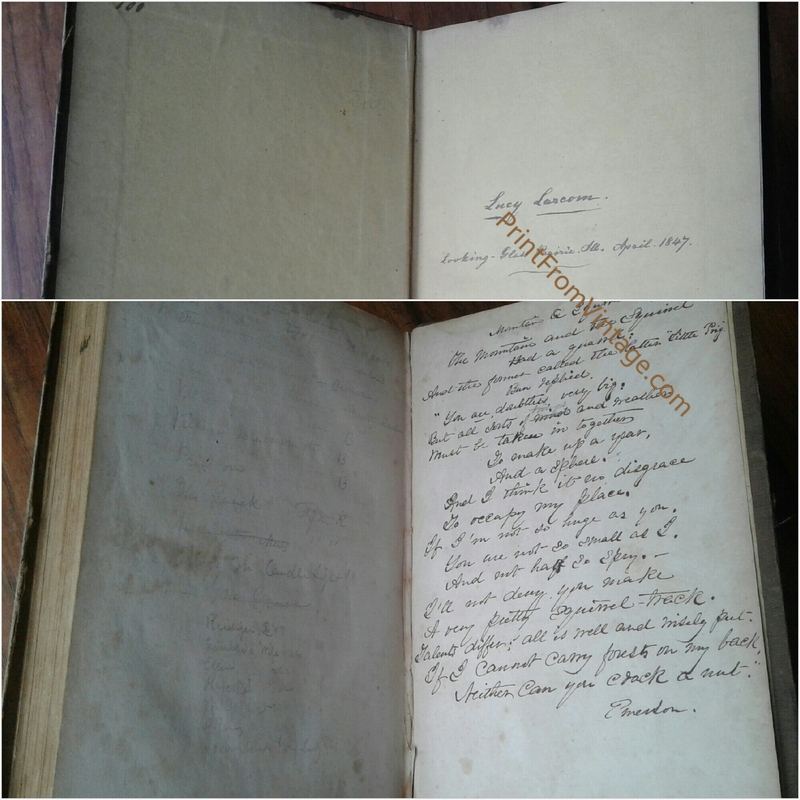 If you love old books then it’s no surprise to you to find it full of markings and even signatures of any previous owners scrawled inside of the front pages! Now, there are two schools of thought on this. For some people, condition is everything! Therefore, finding a book full of markings will not suffice. However, nowadays, this sort of thing is being dissected by those who believe in the history that these book markings can provide. 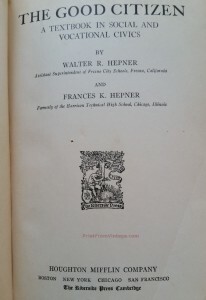 Therefore, provenance is the book’s history of ownership and it is a topic that has many people dedicating their lives to this new field of study. 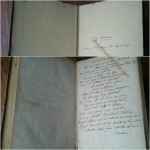 A book that Ralph Waldo Emerson bought and read for himself! Then later GAVE to this 17th Century female poet, Lucy Larcom! Obviously, it’s easier to find (or recognize) a famous person’s signature in a book that he/she wrote. The trick is, finding their signature in a book that they owned for their own, personal delight! That’s exactly what happened to me, TWICE, in ONE book! Also, it is clear that when I purchased it on eBay, the person selling this had no idea that it was signed by famous people. This might be an easy mistake to make considering that the book was not written by the person who signed it and therefore, it can easily be overlooked. Besides, as time goes on, the art of simply READING these signatures and markings is being left to those who strive to pursue it. Otherwise, we are only equipped to read the typed word. . . These famous signatures were found in a book from 1845 which contain markings from both Ralph Waldo Emerson and Lucy Larcom. For Those Who Love Old, Antique Books, Provenance The Key To History! Digestive Disorders – Causes and Cures – The Fastest Way To Health! In health, the digestive functions are carried on without pain. A healthy person is not aware of the work being done by the stomach and intestines. The first symptoms of digestive disorders are a feeling of either weight, oppression, distension, flatulence, palpitation, or various other unpleasant symptoms which are generally included under the term “indigestion”. If the cause of these symptoms is not removed, the next step will be the development of gastric ulcers, enteritis (irritation of the small intestines), or colitis (inflammation of the colon). One of the most common indications of abuse of the digestive functions is the universal symptom of constipation or impacted colon. The use of indigestible foods and those whose very composition proves them unsuitable for use as food by the laws of physiological chemistry, such as: onions, garlic, dry beans, flapjacks, cabbage, cakes and pastries, bananas, and all mixed condiments. Place them on your “NO” list in spite of the recommendation of so-called authorities whose judgment is often impaired by their own appetites. The use of inharmonious combinations of foods whose chemical mixture make them undergo excessive fermentative processes. (See chapter on Food Combinations). Overeating of the best food properly combined will be a source of digestive disturbances both of an acute and chronic nature. Eating when your system is exhausted or when you have insufficient hunger. Mental disturbances, such as worry, hate, fear, jealousy, etc., waste an enormous amount of energy which might be used to better advantage in digesting and assimilating food. Insufficient mastication, especially of starchy foods. The use of too much liquid at the meals, whether it be coffee or water, will over-distend the stomach and weaken the gastric juices. Injuring the stomach or intestines with strong drugs which results in the destruction of the delicate lining of these organs. Those who have not reached the chronic stage of a disease of the digestive organs will find that by substituting good habits of eating for harmful ones the results which quickly follow will be astounding. However, a short fast is a good preparation for any radical change in the dietary regime, and is necessary in advanced cases in order to ensure rapid benefit from the treatment. The word “gastritis” means an inflammation of the gastric organ or stomach, and is probably the most common form of trouble with the digestive apparatus. Mild forms of gastritis will be noticed in those who find they have a gnawing in the stomach when they miss a meal. This gnawing is never an indication of hunger, but shows that the walls of the stomach are sufficiently inflamed to irritate each other when the stomach is empty. If dietetic errors are not corrected this gnawing becomes more pronounced, and more of a burning feeling is felt three or four hours after meals, caused by the irritating effect upon the inflamed membrane of an excess of gastric juice left in the stomach after the digestion of the last meal. This gnawing or burning may exist for many years before the patient will think it serious enough to consult a physician, as drinking a glass or two of water or eating a small amount of food will generally relieve any of the gastritis symptoms. As soon as the stomach is distended by water the irritation will cease, or if a small amount of food is eaten, the gastric juice, which is acid, will have food material to work upon, and the lining of the stomach will not be so irritated. The sooner this irritation appears after a meal the more serious is the form of gastritis present, and if the treatment of this disorder is neglected it will eventually turn into ulcer or cancer. Actual Case: Woman, 32-years-old was troubled by a large amount of stomach gas, and a feeling of discomfort about two hours after each meal. She was told by a diagnosing physician that she had a stomach ulcer and must be operated on at once. She sought another opinion because she hoped to avoid an operation. Patient was put on a plain water fast for five days, using water as desired any time during the day. During this time she suffered no discomfort and lost all her former symptoms. If a real stomach ulcer had existed, this change would not have taken place so rapidly. After the fifth day, the patient was put on a milk diet, using at first three quarts of pure unpasteurized Holstein milk, and taking four ounces of milk every thirty minutes ultil three quarts were taken. No other food was used, and no water was drunk during the course of the mild diet. This diet was continued for about four weeks. after which time the patient was put on a general diet, using well-proportioned meals with correct combinations of food, and has since suffered no symptoms of gastritis or any digestive disorder. This is a condition present only with those who have suffered for years with gastritis, and who have neglected to change their dietetic habits so as to cure the inflammation of the stomach which must exist before an ulcer can start. The red, inflamed lining of the stomach which is present in gastritis becomes more irritated around the pylorus or exit from the organ, and an ulcer gradually starts which proceeds rapidly to penetrate through the stomach once it has made a proper beginning. When any ordinary article of food is eaten it will cause great pain and finally vomiting. In the worst stage of the ulcer, blood and pus will be vomited along with any food material which the patient attempts to eat. Sometimes cow’s milk can be retained if milk of magnesia is added to it to counteract the stomach’s acidity, but the treatment which is the best at the start of such a case is to use an alkaline water fast, drinking a glass of water every thirty minutes, to which has been added a small amount of milk of magnesia or baking soda. Sometimes it is necessary to drink this alkaline water during the night, so that the stomach never at any time becomes empty, or in such a condition that the gastric juice might irritate it further. After a few days of this regime, with the patient having complete rest in bed, a suitable milk diet should be used for several weeks. As soon as the acute symptoms subside, the patient should be encouraged to leave the bed and walk as much as possible, taking care not to bring further irritation of the stomach by any too violent exercise. 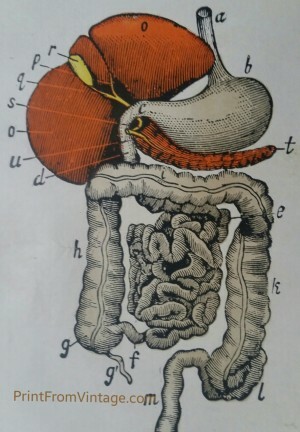 You may expect two to three months to lapse before the stomach is sufficiently healed to adopt a general diet regime, but by the time this is taken the patient must be thoroughly familiar with the changes necessary in his/her dietetic habits from those he/she practiced before the ulcer was developed. Actual Case: Young man, 26-years-old had been vomiting for several days all the different food preparations which his physician had been advising him to eat, and on the day he consulting another opinion, he had several vomitings with blood and pus mixed in with the food stuff. Had been suffering every hour of the day except the time he was under an opiate. He was advised to do an immediate enema, and instructed that this be used three times daily. The patient was given a pint of warm water to drink, in which had been dissolved a teaspoonful of baking soda. This was immediately vomited, bringing with it the remainder of some malted milk mixture which he had taken an hour previously. He was immediately given another pint of hot water with a teaspoonful of soda in it, and he succeeded in keeping this in his stomach. After ten or fifteen minutes the abdominal muscles lost their tenseness, and he became quite comfortable. A glass of hot water was given to him every thirty minutes, with a very small amount of mild of magnesia or bicarbonate of soda in each glass. The painful symptoms entirely disappeared, and he was kept on this water fast for ten days, being awakened sufficiently every hour at night to take a pint of water. At the end of this ten days he was placed upon a milk diet, taking four ounces of milk every half hour during his waking hours, and being aroused every hour during the night and given eight ounces. After a few days it became apparent that the night feeding was unnecessary, and his milk diet was chinged to taking six ounces of milk every thirty minutes during the day. By this time he was able to leave his bed and take short walks. 3 slices of thin brown toast, moistened with hot water, and seasoned with butter or cream. Prune whip made by mincing stewed prunes and beating them up with the white of an egg, no other sugar being added. Lunch – A quart of raw milk taken 8 ounces at a time every 15 minutes. Dinner – Whites of 3 eggs prepared by mixing with 3 tablespoons of water, and beating in a dry pan over a slow fire until cooked to a jelly-like consistency. Dish of 1 cooked non-starchy vegetable prepared by grinding in a food grinder before cooking, to ensure that it is well minced. Choice of one of the following raw salad vegetables, ground through a food chopper: Spinach, celery or lettuce. Dish of Jello. 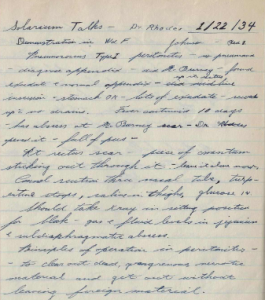 This diet was continued for another month, and after that the patient was instructed to adopt a general diet, being careful to avoid all inharmonious food mixtures, and to follow the dietetic rules explained here (in the last part of this book) He has remained in perfect health ever since, as has never had a return of any digestive disorder. This information comes from the ‘Royal Canadian Air Force Exercise Plans For Physical Fitness’ book from 1962. It is a physical fitness program composed of 4 charts (1, 2, 3, 4) and ten exercises, arranged in progressive order of difficulty. Then it goes on to divide the charts into levels and the purpose is to help people easily progress their physical fitness level. However, once your fitness goal has been reached, you should require only three exercise periods a week to maintain it. It was developed because a great majority of people would like to exercise, but do not know how to go about it – what to do, how to do it, how often, how to progress, or how far to progress. This program takes out all of the guessing! Another cool aspect is that there is no equipment and it can be done in only 12 minutes a day. That’s probably why actress, Helen Mirren has been doing this on and off her whole life and still looks fabulous! 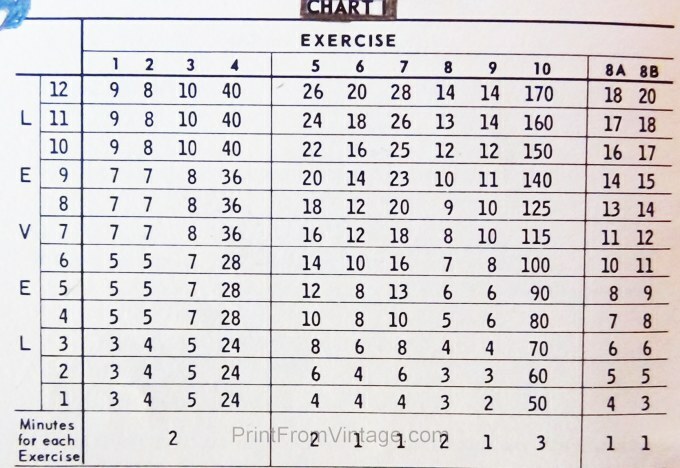 The number along the top are the exercises (listed below 1-10). The numbers along the left side are the levels of the program. The minutes for each exercise is written along the bottom. First, you must select the goal for your age! (please excuse the ink in photo. You should still be able to read it). For example. 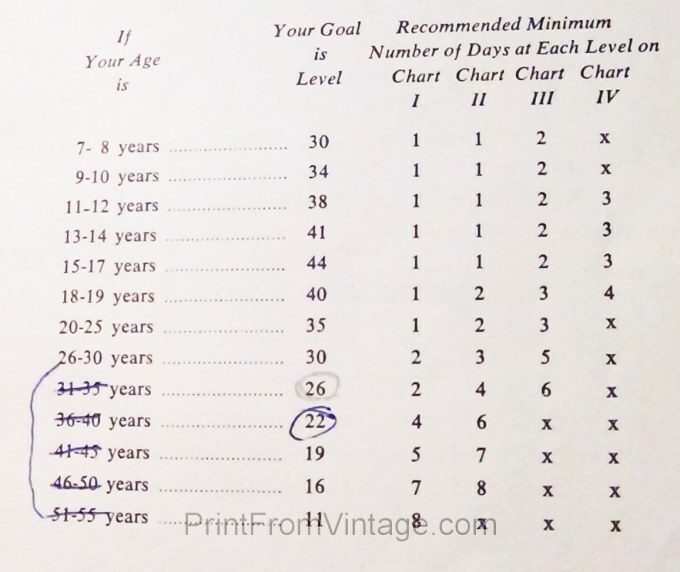 At 41 – 45 years old, your level should be at: 19. Then it shows how to reach that goal on chart (I, II, III and IV). It tells you how many days to spend on each level. In this case, 5 days on chart 1, 7 days on chart 2, x on chart 3 and x on chart 4. 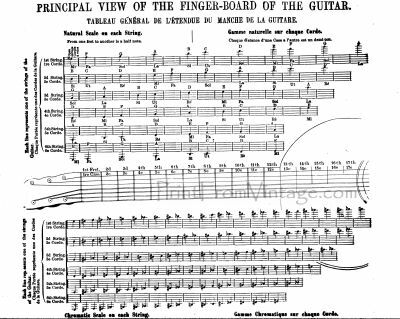 (If this is true, then you may not make it to charts 3 and 4 unless you are physically capable of doing so. 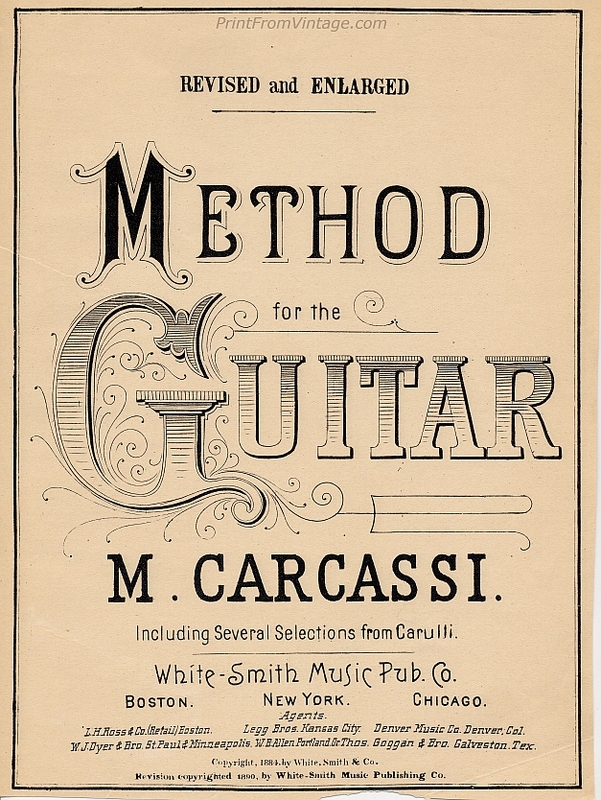 In which case, you should start each chart at level 1). Either way, if you can maintain your goal level or can go above then you are in top physical shape! 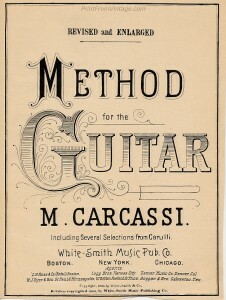 Start at Level 1, which is at the bottom of Chart 1. When you can do this level without strain and in 12 minutes move up to Level 2. Continue until you reach the goal level recommended for your age group, OR until you feel you are exercising at your maximum capacity. 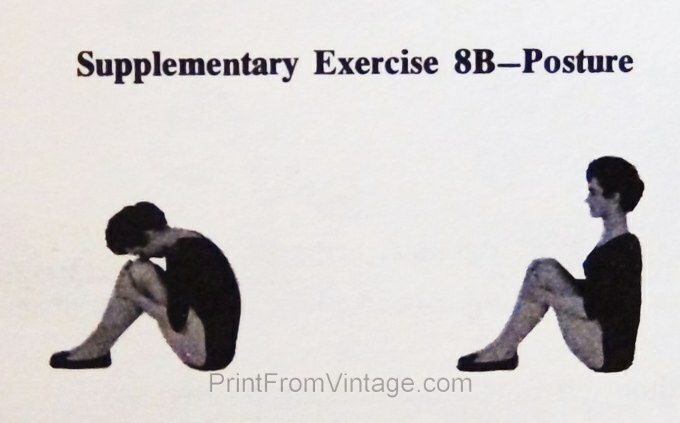 There are two supplementary exercises which are included for those who wish to do a little more (see end of this post). One exercise is for strengthening the muscles of the feet and the ankle joint. The other is for those muscles of the back and abdomen which assist in the maintenance of posture. Exercise 1 – Toe Touching. Start. Stand erect, feet 12 inches apart, arms over head. Bend forward to touch the floor between feet. Do not try to keep knees straight. Return to starting position. Count. Each return to starting position counts one. (If you begin at level 1,2,or 3, you should be doing this 3 times). Exercise 2 – Knee Raising. Start. Stand erect, hands at sides, feet together. Raise left knee as high as possible, grasping knee and shin with hands. Pull leg toward body. Keep back straight throughout. Lower foot to floor. Repeat with right leg. Continue by alternating legs – left then right. Count. Left and right knee raises count one. (If you begin at level 1,2,or 3, you should be doing this 4 times). Exercise 3 – Lateral Bending. Start. Stand erect, feet 12 inches apart, hands at sides. Keeping back straight, bend sidewards from waist to left. Slide left hand down leg as far as possible. Return to starting position and bend to right side. Continue by alternating to left then right. Count. Bends to the left and right count one. (If you begin at level 1,2,or 3, you should be doing this 5 times). Exercise 4 – Arm Circling. Start. Stand erect, feet 12 inches apart, arms at sides. Make large circles with left arm. Do one quarter of total count with forward circles and one quarter with backward circles. Repeat with right arm. Count. A full arm circle counts one. (If you begin at level 1,2,or 3, you should be doing this 24 times). Start. Lie back, legs straight and together, arms at sides. Raise head and shoulders from floor until you can see your heels. Lower head to floor. Count. Each partial sit-up counts one. (If you begin at level 1 you should be doing this 4 times). Exercise 6 – Chest and Leg Raising. Start. Lie face down, arms along sides, hands under thighs, palms pressing against thighs. Raise head, shoulders, and left leg as high as possible from floor. Keep leg straight. Lower to floor. Repeat raising head, shoulders, and right leg. Count. each chest and leg raise counts one. (If you begin at level 1 you should be doing this 4 times). Exercise 7 – Side Leg Raising. Raise upper leg 18 to 24 inches. Lower to starting position. Count. Each leg raise counts one. Do half number of counts raising left leg. Roll to other side and do half number of counts raising right leg. (If you begin at level 1 you should be doing this 4 times). Push body off floor in any way possible, keeping hands and knees in contact with floor. Sit back on heels. Lower body to floor. Count. Each return to starting position counts one. (If you begin at level 1 you should be doing this 3 times). Exercise 9 – Leg lifting. Start. Lie on back, legs straight and together, arms at sides, palms down. Raise left leg until it is perpendicular to floor, or as close to this position as possible. Lower and repeat with right leg. Continue by alternating legs, left then right. Count. Left plus right leg lifts count one. (If you begin at level 1 you should be doing this 2 times). Exercise 10 – Run and Hop. Start. Stand erect, feet together, arms at sides. Starting with left leg, run in place raising feet at least four inches from floor. Hops. Hopping is done so that both feet leave floor together. Try to hop at least four inches off floor each time. Note: In all run-in-place exercises only running steps are counted towards completing exercise repetitions. (If you begin at level 1 you should be doing this 50 times). Click Here To Progress To The 2nd Chart! Start. Sit on floor, legs straight and about six inches apart, hands behind body for support, feet relaxed. Press toes away from body as far as possible. Bring toes towards body hooking feet as much as possible. Relax feet. Count. Each return to relaxed state counts one. Start. Sit on floor, knees bent, feet on floor, hands clasped about knees, head bent forward, and body relaxed. Straighten body and left head to look directly ahead. Pull in muscles of abdomen. Relax to starting position. To continue your progress, go here to the next chart! Who’s Lucy Larcom? In 1846, she would’ve been a 20-year-old maiden living in the state of Massachusetts (where Emerson lived as well). She was most famous for later writing a book called, A New England Girlhood. However, from 1835-1845, she was still living a hard life of work in the mills and her only real escape was writing articles and poems for a small paper issued by her sister, Emeline. 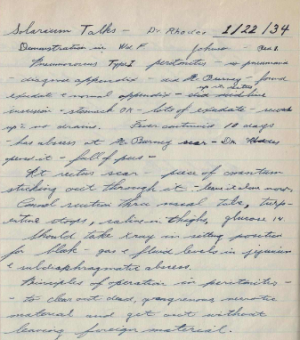 With this added information, Jazmin Mae started researching the handwriting of Lucy Larcom and she successfully found a match for the letter “s” (the same letter that she determined before was not done by Emerson’s hand). This is where it gets interesting! We believe that Lucy Larcom wrote the words for the poem “Mountain & Squirrel” with her own hand (see comparison below) in the back of Ralph Waldo Emerson’s Elocution Philosophy book. But why? It is a known fact that in 1843, after reading one of her poems, Lucy’s writing attracted the attention of John Greenleaf Whittier, an avid poet against slavery with whom she developed a life-long friendship. 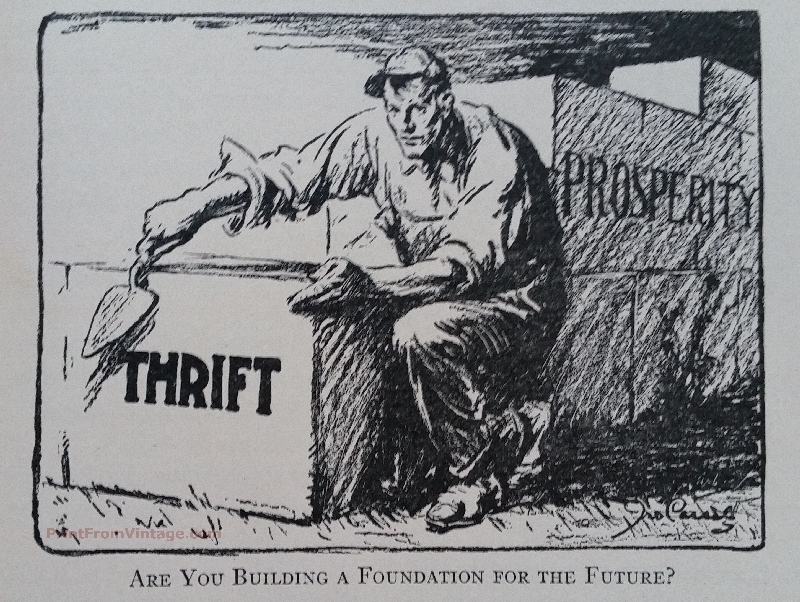 Also, during 1843, John Greenleaf Whittier was announcing the triumph of a party that he founded in 1839 called the “Liberty Party” saying, “Liberty party is no longer an experiment. It is vigorous reality, exerting… a powerful influence.” Whittier also unsuccessfully attempted to convince Ralph Waldo Emerson and Henry Wadsworth Longfellow to join the party. Therefore, we believe that Lucy Larcom penned this particular poem, and that it was changed afterward, by way of a pencil, by Ralph Waldo Emerson himself! Mainly because we have determined that the penciled-in word “things” is not Lucy’s handwriting at all. Her “h”s have a distinct looping that can been seen in every aspect of her handwriting. On the other hand, this word “things” does not. Instead, it sort of bumps along between the “t” and the “h.” Also, who else would’ve changed that word? By 1847, Lucy Larcom was long gone from the state of Massachusetts for the first time in her life after leaving with her sister and husband to live in Illinois. Also, it appears that she claimed this book about Elocution Philosophy as her own in April of that same year, 1847. 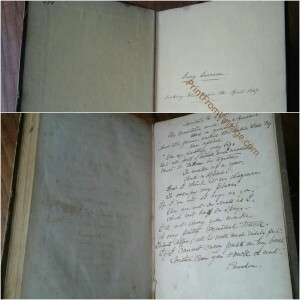 Now, our question is, why did she write her name in this book in 1847 even though she penned this poem in 1845 (the book’s copyright date) or 1846 (the year the poem was published by Emerson)? Surely, if it belonged to her during that time, she would’ve written her name in it before she penned a famous man’s poem in the back of it! This is what keeps us guessing and makes us thoroughly interested in this topic! We even went so far as to read through some of her writings about Ralph Waldo Emerson in her books, Life, Letters and Diary and The Poetical Works of Lucy Larcom, both of which were published after his death, in hopes of finding out more about their relationship back when this poem was handwritten in our book. Meanwhile, Ralph Waldo Emerson left the United States for a speaking tour in Europe in the years 1847 and 1848. For that reason, we believe that these two famous poets spent time together in the year or years before they both moved apart in 1847. So, what do we have here? A rough draft poem, handwritten by Lucy Larcom with a possible correction in pencil by Ralph Waldo Emerson. This is a significant find that we felt must be shared with the world. We hope that you enjoyed this information as we have presented it, and perhaps it sparks some curiosity in yourself as to how this famous poem “Fable” by Ralph Waldo Emerson came to be. We intend to continue looking into this, and will post about any further discoveries that we make. Please feel free to check any of our facts. 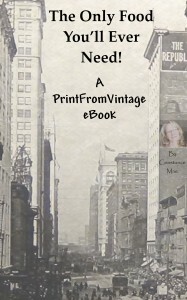 If you have any questions or comments, you may email PrintFromVintage@gmail.com. Discovered, researched, and presented by Jazmin Mae & ConStancE MaE. 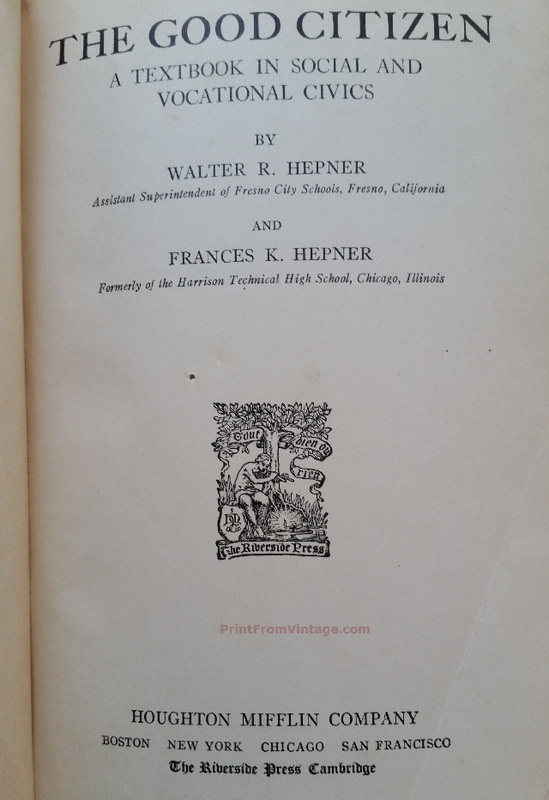 This is ‘A Textbook In Social And Vocational Civics’ by Walter and Frances Hepner and it was published in 1924. The first chapter discusses our human history together revealing that we have always lived in groups and that ‘man’s most vital interests’ are ‘closely related to the welfare of the other members’ of our community. However, it also recognizes the fact that times have changed. losing our ‘habits of industry’. The difference between a ‘farm life’ (in which children were given specific chores to complete during specific times of day in order to develop the sort of character needed for such industry) and the ‘city life’, (in which there is no field to toil and children have gained a leisurely life in which their time may be spent ‘playing games’ ‘making collections’ ‘reading’ athletics’ or working odd-hours in grocery stores and news stands) is that this has resulted in families not being able to develop good habits of industry. ‘No other group can give the time and energy necessary for the development of such qualities’. The point being is that whether we know it our not, everything that we have ever been taught is for the purpose of creating a world in which we learn to obey or risk losing our ‘liberty’. For example, dad farms the field, mom cooks the food, kids milk the cows and collect the eggs. Without that tapestry of workings it is very difficult for each member of the family to survive on their own. In that way, we are very much connected to each other, even in a much larger picture. Therefore, because the task has fallen upon such institutions as schools and churches to supply this knowledge of industry, there is really only one tapestry that we are weaving. Remember, ‘a large part of our actions is controlled by customs, institutions, and ideals which have been handed down from generation to generation’. However, it is safe to say that the one thing that we have been taught throughout our lives is how to enter the workforce that we are all a part of today which is normally embedded in commercialization, not industrialization. 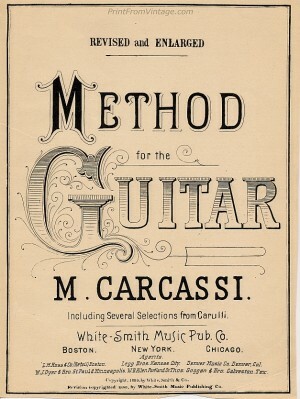 However, this book explains why this is the superior way of life. Even though it admitted earlier that, ‘if our family fails to teach us these lessons (of industry), it is hardly possible that we shall learn them elsewhere, for no other group can give the time and energy necessary for the development of such qualities’. I’d be interested in covering the chapter about ‘Conserving our Natural Resources’ next. 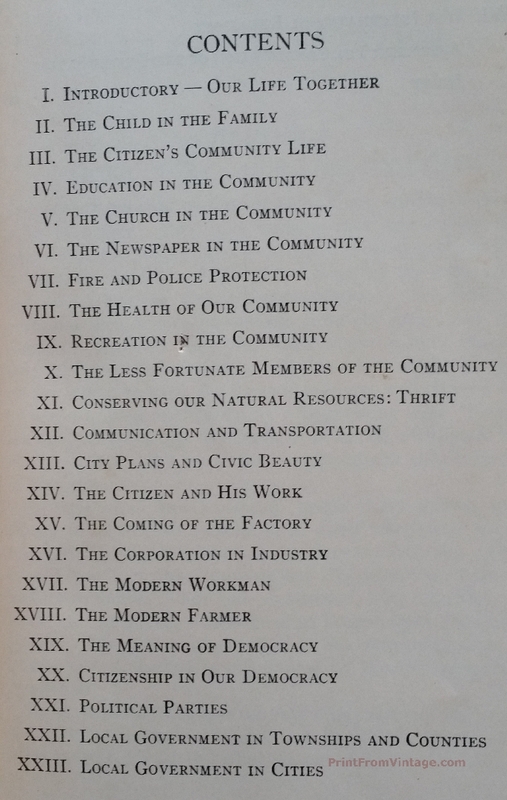 I do love what old books have to say about the way we live today! Thanks for reading!